Cycling, Hog Hill, Look Mum No Hands! 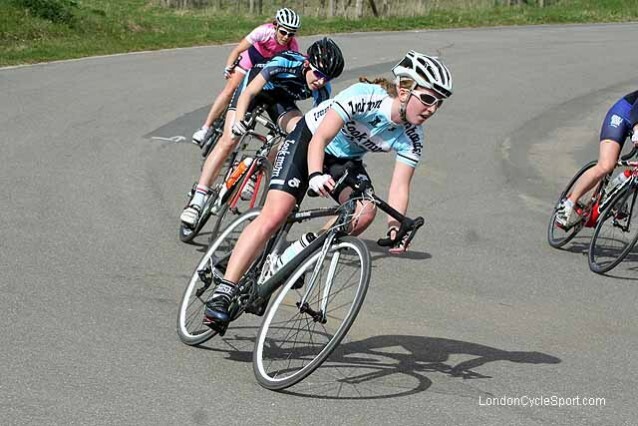 “Good Friday saw the first installment of the Shutt Velo Rapide National Women’s Team Series. 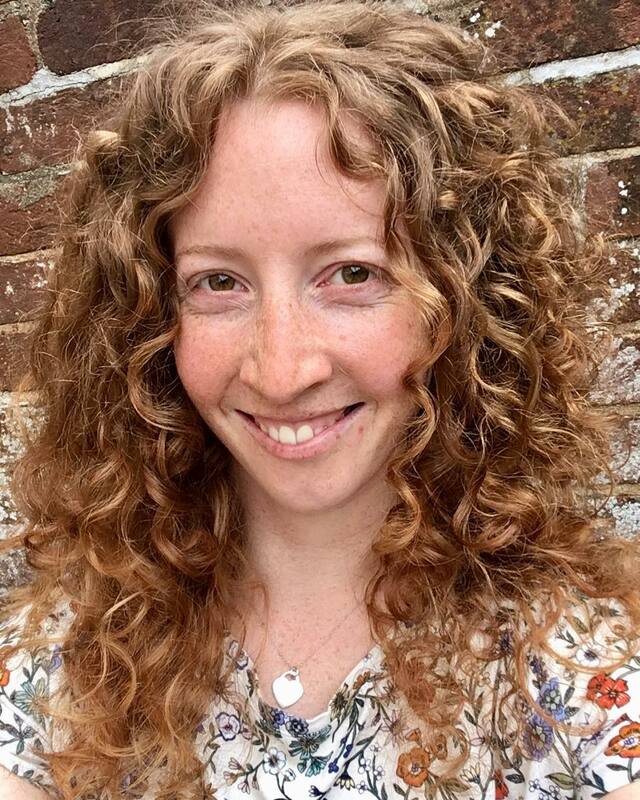 Although not a target for Team Mum, we managed to field two riders for the event, and new recruit Alice showed that she is a star in the making. 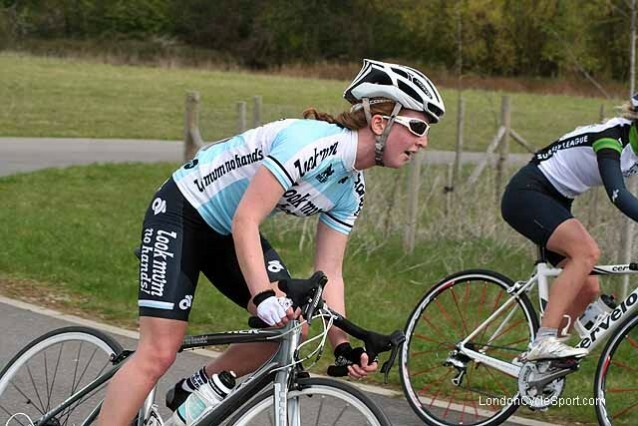 Thanks to UK Cyclesport for the fantastic photographs! I arrived at Hog Hill at 11.30 (pretty early for a 14.15 start!) but it meant I had a chance to look at the course and generally enjoy the whole atmosphere of the day. With a whole selection of races organised for the day there were loads of people around all enjoying the sunny (if rather fresh) day. 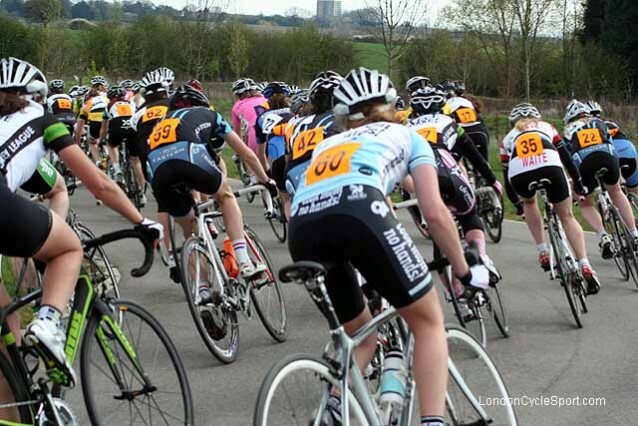 I had raced at Hog Hill only once before and was dropped within 15 minutes so I was really quite unsure of what to expect from myself and how I would fare. I felt a little intimidated by all the teams looking pro warming up on their rollers but reminded myself my focus for the race was to merely remain with the group and practise moving around within the bunch. 64 entrants meant the start line was pretty filled up. I didn’t exactly position myself near the front as I really couldn’t gauge what the race and the other riders would be like (maybe I’m a bit too cautious). I didn’t get the best of starts as the girl in front of me was slow to find her pedal and I also struggled to clip in straight away. With a slow start I was already quite a long way down the group but at least I wasn’t hemmed in by high strung and easily spooked riders. The race went off pretty speedily and we’d hardly settled in when the first prime was called on the third lap – queue renewed vigour and sprinting up the hill. There were three primes as far as I was aware, although to be honest I was far too far back to even think of contesting any these and contented myself with working hard to retain my grip on the back of the bunch. 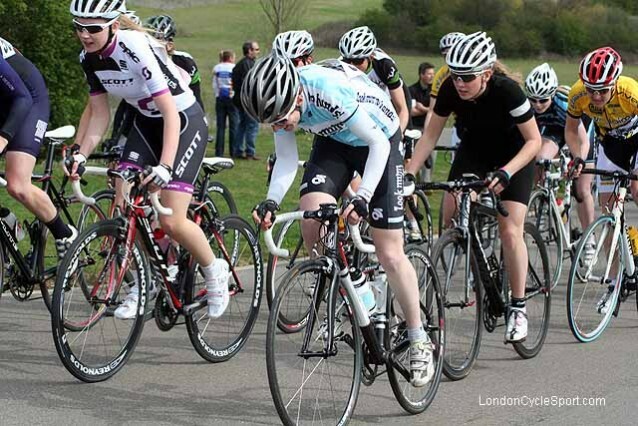 A skill I need to work on (other than clipping in better) is confidence in riding within the bunch as I always end up leaving too much space between myself and other riders. This is a problem because as I lost a few spaces each lap during the climb, I had less riders to pull myself back on and it also became a lot more essential that I didn’t lose any places as I got closer and closer to losing the group. As the leaders wound the pace up for the third prime the bunch began to stretch out as the girls began to suffer from the repetitive climbing and unkind headwind. It finally defeated me and I lost touch with the back of the main bunch. Several other riders (luckily for me) had also been dropped although not many were working together. I knew it would be essential to not become a lone rider, especially when I was already maxed out from the effort of staying with the bunch. The strong headwinds meant I was quickly looking for some fellow riders to try and work with. Everyone seemed very tired though and as soon as I’d catch one she’d move sideways in the hopes that I might lead her round for a bit. So my final laps did not involve much recovery! As we hit five laps to go any lapped riders were pulled off and their positions were recorded. 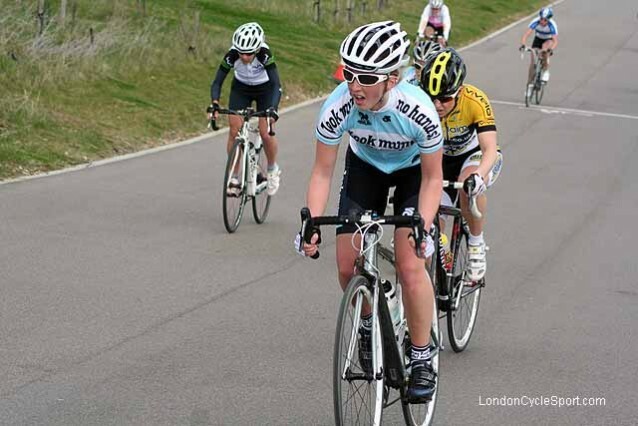 I was now riding on my own and rapidly losing sight of the bunch as they attempted to chase down an heroic break by Natalie Creswick of MuleBar Girls. I don’t exactly know where I came as I have been missed off the results list, but as soon as we get an updated copy we’ll add it in.